Good morning and welcome to a new episode of #ThatBusinessShow with your Host, Jamie Meloni! Remember, the show airs weekday mornings at 8am, and can be found live at #1250whnz, or at http://www.tampabayradio.com! Also, head to that website if you missed the show live! You can tune into the show or listen to any show on demand! Also check out my YouTube channel at http://www.youtube.com/Jamiemeloni! If you are wanting to make an appearance on the show, head to http://www.tampabayradio.com and contact Jamie through the contact form! Today we had Dr. Rahul Mehra, with MehraVista Health – and Chris Jenkins, Chief Technology Officer with SymphoniMedia! We had another great discussion here on #ThatBusinessShow, so make sure to join us tomorrow for another great episode! 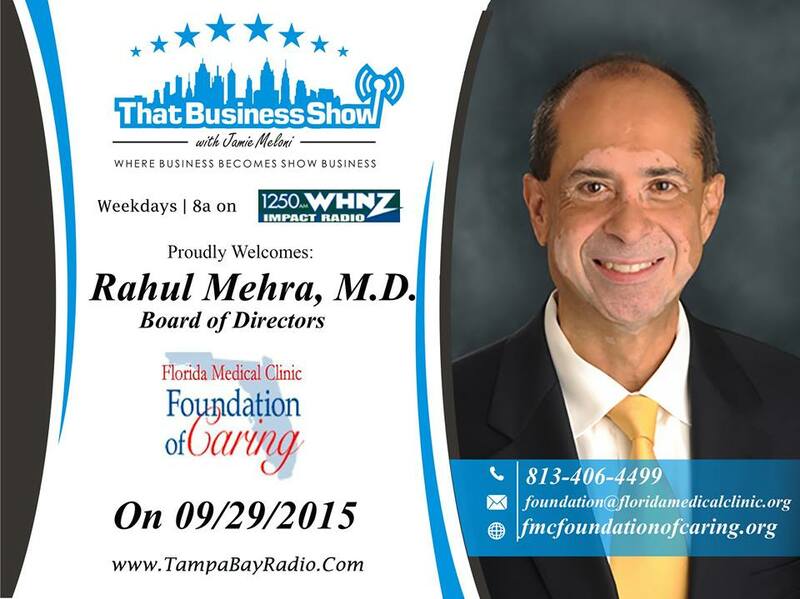 On our first segment, we welcomed Dr. Rahul Mehra with MehraVista Health! Dr. Rahul Mehra and Jamie discussed the Banyan Ball event that just happened a few days ago here in Tampa, and how Jamie isn’t too fond of Indian Food – however Rahul loves it, as he is a native Indian! Dr. Rahul Mehra came from India when he was 5 years old, and went to South Carolina and eventually here to Florida! After exchanging a few words about the differences between the United States and India, they discussed the many things that Dr. Rahul Mehra has been up to! He is also a board member of the Florida Hospital. MehraVista Health focuses on employee health and wellness. They help the employees of their client to become more efficient and happy through numerous therapies and discussions which help to alleviate stress and make them happier and healthier, therefore fostering production! You can find out more about Dr. Rahul Mehra and MehraVista Health at http://www.mehravistahealth.com! Also follow him on twitter at @MehraVistaH. 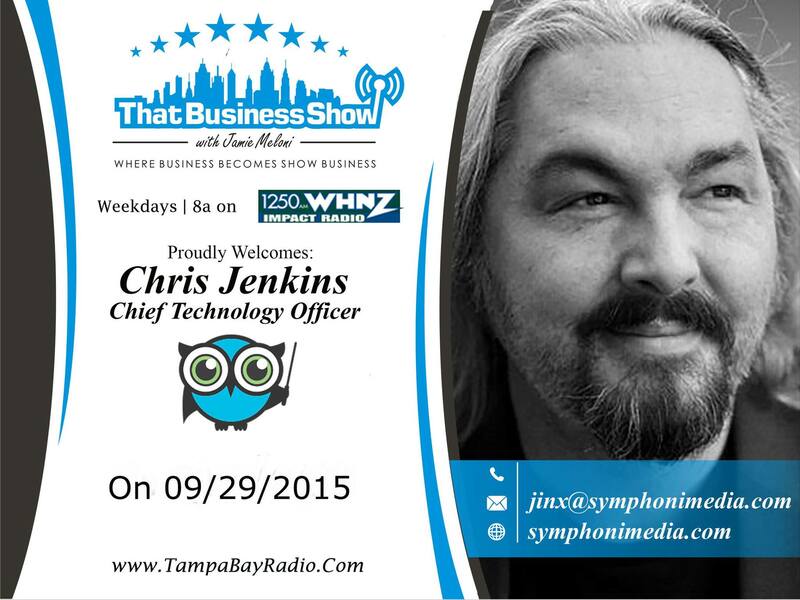 Next on #ThatBusinessShow with Jamie Meloni, Chris Jenkins with SymphoniMedia! Chris is the Chief Technology Officer of SymphoniMedia, and discussed with us the intricacies with social media! Jamie and Chris exchanged words of how annoying automated Twitter bots are! They also spoke about how humans are exposed to an information overload, and how SymphoniMedia helps their clients to target their audience and use social media more effectively, tying it into their businesses to create a seamless integration which helps expose their business effectively! You can find out more about Chris Jenkins and SymphoniMedia at mailto:digitalprecipice@gmail.com and follow them on twitter at @SymphoniMedia. This entry was posted in Articles, Entrepreneurship and Business and tagged business, entrepreneur, radio, show business, work. Bookmark the permalink.